Finished wiring everything up today. Used the wiring instruction for the euroswitch to keep the wiring as close to factory as I could. Took a while but managed to keep all the existing wiring tied into existing looms. Switch is wonderful, though the relay for the TRS has about a 3-5 second delay before the lights are allowed to fire, so if you arnt in the habit of turning your ignition on and leaving it for an extended period of time, the euro switch might not be necessary for you. 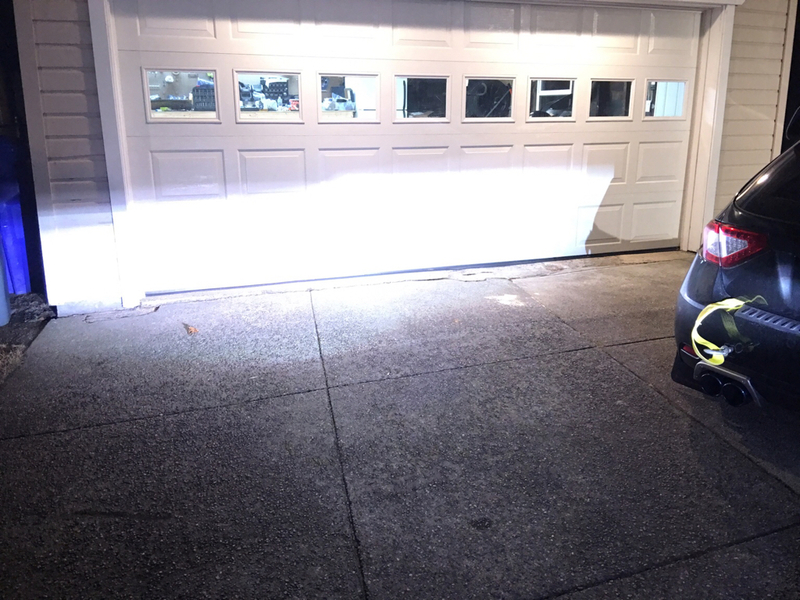 I also went ahead and got the lights aligned tonight, and took it around the block with the headlight bolted up. Unbelievable how much of a difference these made vs the factory single halogen lamp. I'll take decent shots of the light output when I can ideally have a second person taking the picture so I can level the bike I was trying to take them with the stand, but they were angling the lights quite a bit lower. Install complete. No leftover bolts, buttoned up perfectly. 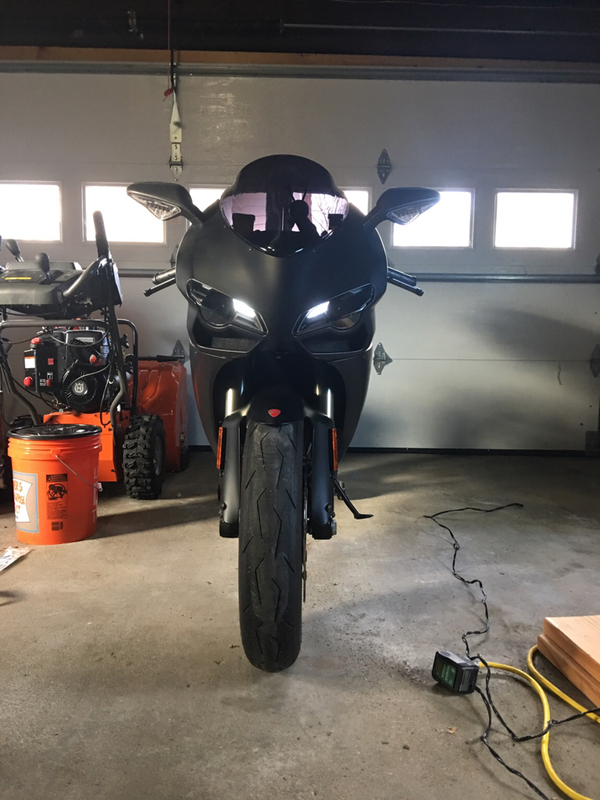 The only visual difference looking over the bike is the wire looms leaving the headlight housing caps. Overall very happy with this install. A lot of you asked me what ballast you should get and whether you should go to 55W. To summarize my research so far, different ballast/bulbs warms up at different rates and also give out different wattage. What that means is a poorly made 55W ballast may put out less lux than a 35W ballast. The problem is only further exacerbated by a poorly made bulb. So in most cases, you certainly get what you pay for - with one exception. I have been quite happy with the fastbright F3 ballasts. They are cheaply found on ebay but well made. Not surprisingly, at 35W they give out more than many generic branded 55W ballast. Do you have instructions for the wiring modifications or parts you used to get the Euro switch to work? Thanks! 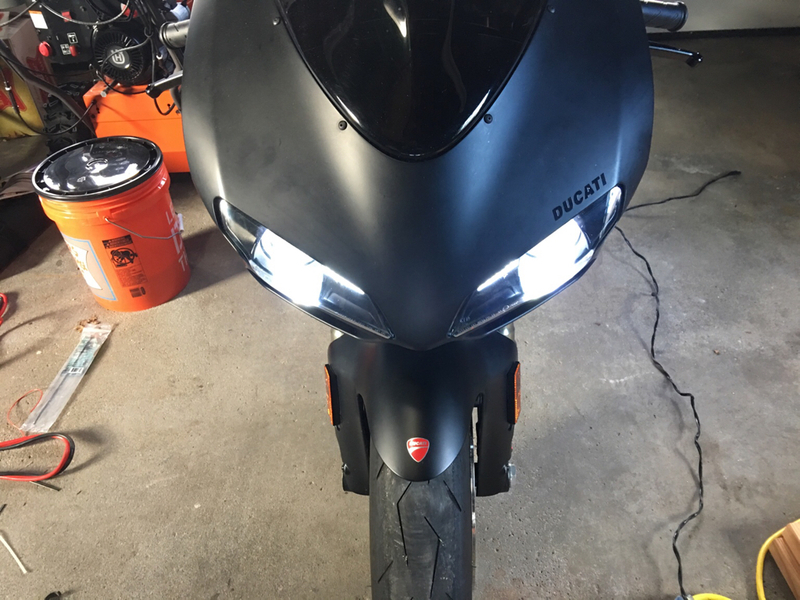 after 2 years i finally got around to installing mine that another member here did the work on..... WOW! 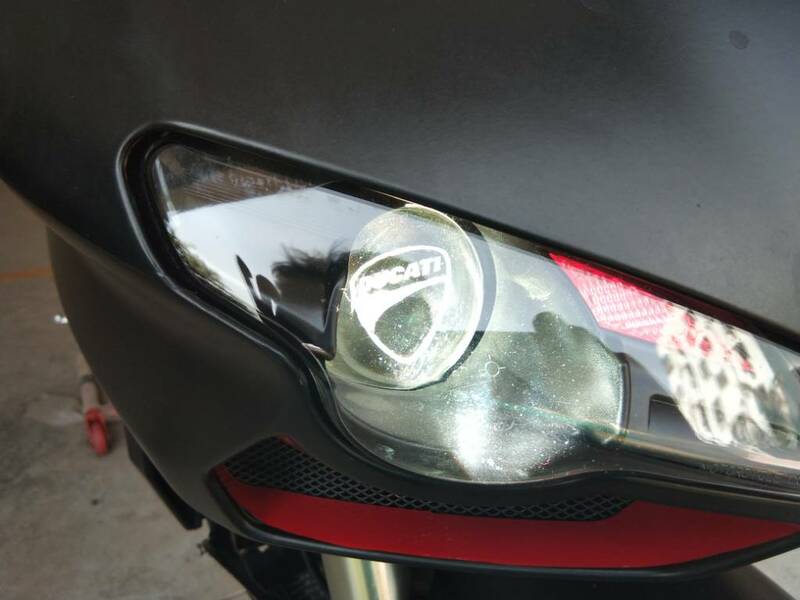 i wish ducati would just make the bikes with real headlights from the factory, the OEM lights are board line dangerous. 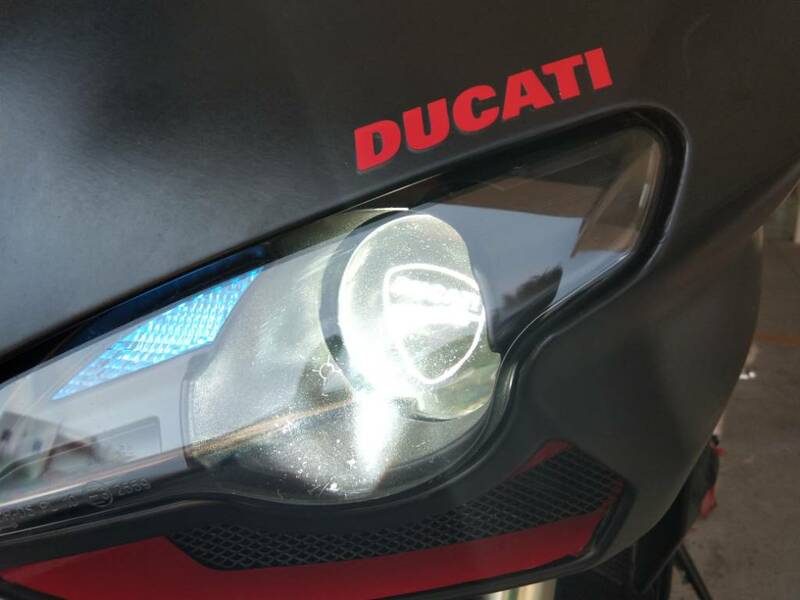 i am looking at possibly getting an 1199 of some sort, does anyone know if someone makes an adapter like this for the 1199 headlights? 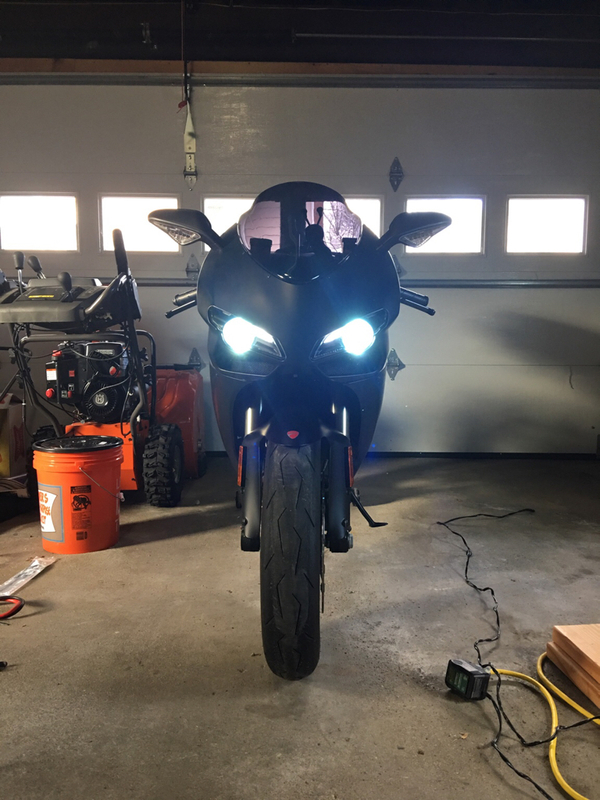 Finally completed my upgrade to the bi-xenons thanks to this post and few others on the forum. Kudos to the original ideas and to the issues they faced and overcomed. However, facing a strange issue. 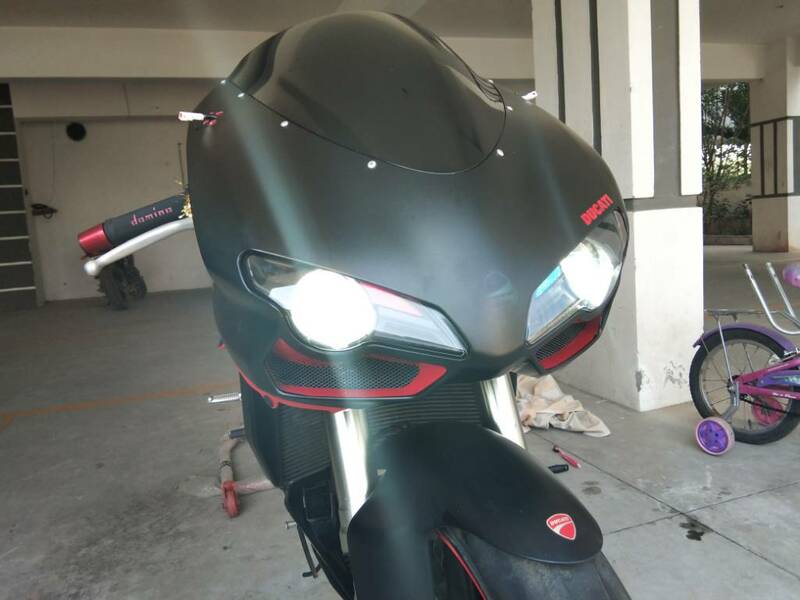 My lights stay on during the ignition, but as soon as I start the bike, the battery starts to drain upto 12+ ish. If I rev the bike till 4-5k the voltage goes up till 13.8-9. Any higher and I think the ecu kills power to the lights. 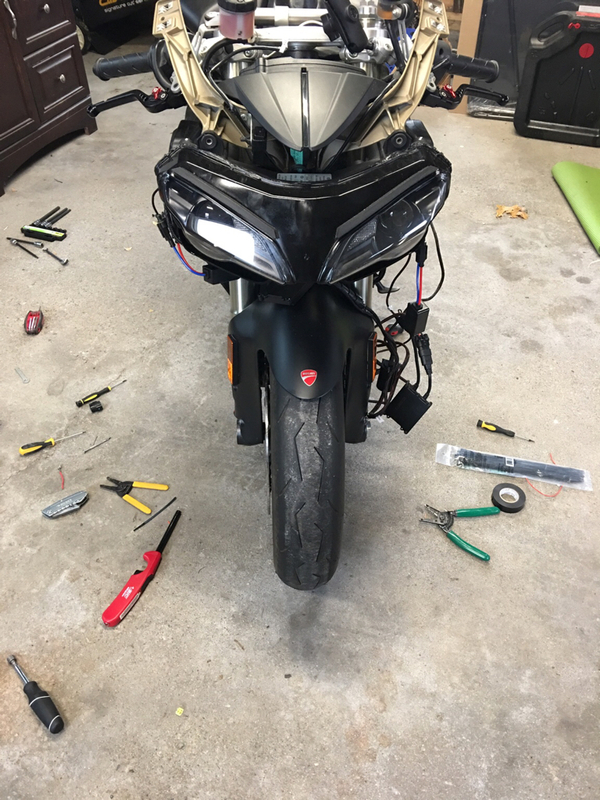 If I kill power and back on, light comes on fine. Happened to check prior to the installation and everything was normal. Battery stayed at 13 odd at ignition and 14.2 on idle. Anyone else faced/facing this issue too? Any ideas? P.S. 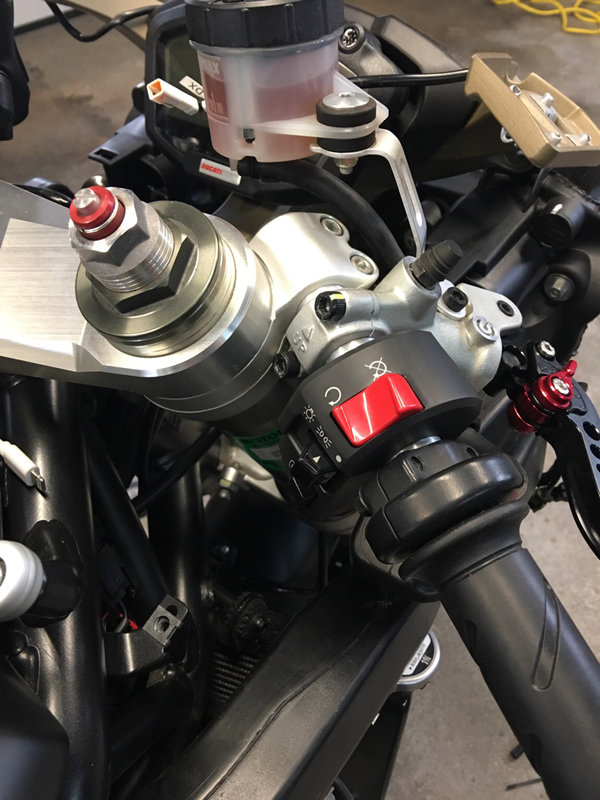 I have checked the stator and R/R too. Both are okay. The connectors were burnt and Im changing them atm as Im writing this down. Thanks in advance. Attached a few shots of how it looks. Last edited by bluefox; October 26th, 2018 at 06:28 AM. 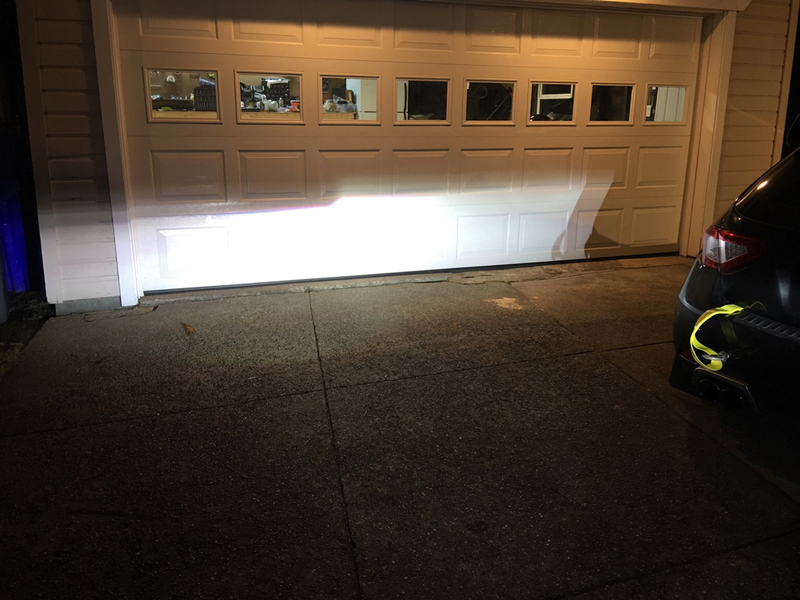 Not sure if this has been asked but has anyone tried using the new LED projectors? Would the Templates work?